Single-cup coffee makers are all the rage these days, but most of them have a hard time trying to recreate your coffee house favorites. 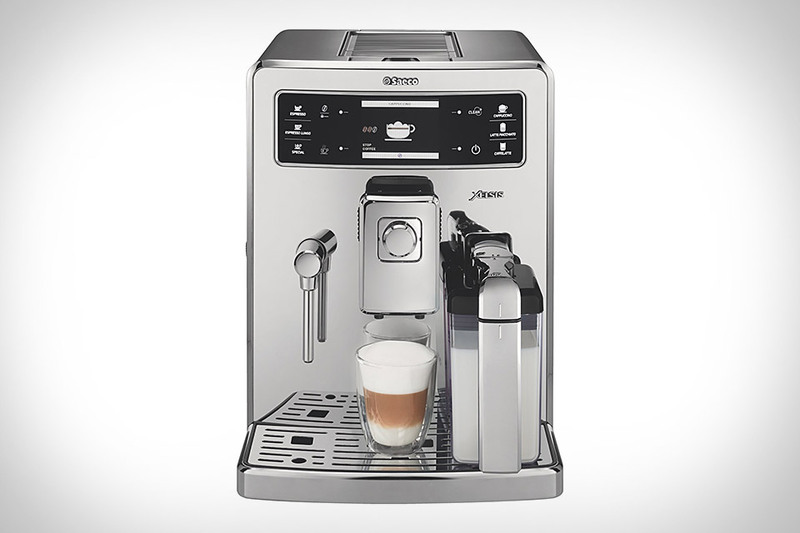 Which is why they make the Starbucks Verismo ($200-$400). This new single-cup machine uses individual pods to brew espressos and coffees, and separate milk pods to create drinks like Caffe Lattes, all brewed to Starbucks standards thanks to Swiss-engineered high-pressure technology. It's kinda like having a Starbucks in your house, minus the Baristas. How do you improve on the awesome drinking utility of the mason jar? Give it a better-than-Starbucks wrapper and a handle. The Holdster Mason Jar Mug ($20) slips onto standard wide-mouth jars, cladding them in leather and keeping the heat — or cold — away from your hand. Available in cross-stitch or riveted styles, and with or without a looped leather handle, they're a great way to add a touch of class to this traditional vessel. Combine with a Cuppow to create the ultimate farmland-esque travel mug. 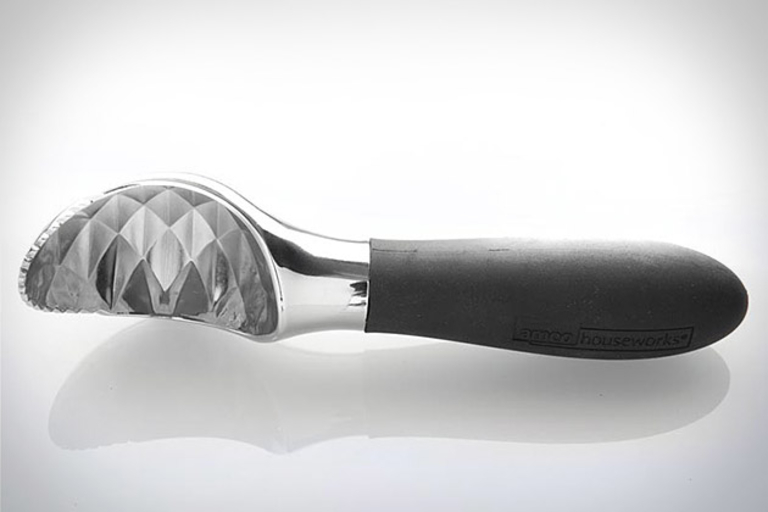 Trying to grab a scoop of ice cream out of a hard slab is about as effective as trying to talk to a wall — unless, of course, your have this Serrated Ice Cream Scoop ($10). It features a die cast head with a serrated edge for cutting into hard ice cream and a textured inner scoop for easy release, and even packs in a soft-grip handle to relieve stress — as if the ice cream wasn't enough to take care of that on its own.